Dentistry for children places special importance in preventing tooth decay. Studies show that poor oral health care in children can lead to impaired school performance and poor social relationships. Therefore, Dentists give advice on how to make teeth strong the importance of developing healthy eating habits and other ways to prevent disease from occurring. Additionally, Dentists work toward the maintenance of primary teeth (baby teeth) until they are naturally lost. This is due to the importance they serve in permitting children to chew properly and therefore maintain good nutrition, their role in speech development, and the maintenance of space for the eventual eruption of the permanent teeth. 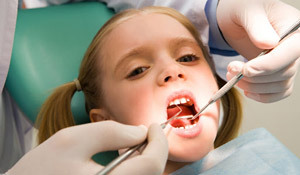 The role of the Dentist changes as children enter adolescence. Recognizing the growing importance of appearance and self-image in their patients, Dentists work to ensure that adolescents’ dental needs are met. Preventative dental health care is emphasized and when necessary information is provided to adolescents about subjects such as wisdom teeth, tobacco use, sealants and oral piercing.